Leigh Beisch is inspired by Mexico & Morocco for her latest cookbook. Photographing food for a cookbook is a different experience for a food photographer than photographing food for packaging or advertising. The biggest difference is the shear number of shots required to complete the project. With that many shots, there is a lot of room to experiment and try different things. Leigh Beisch likes the energy on a cookbook shoot for that very reason. When I asked her what inspired her for her latest cookbook, “Quick and Easy Mexican,” here is what she had to say. 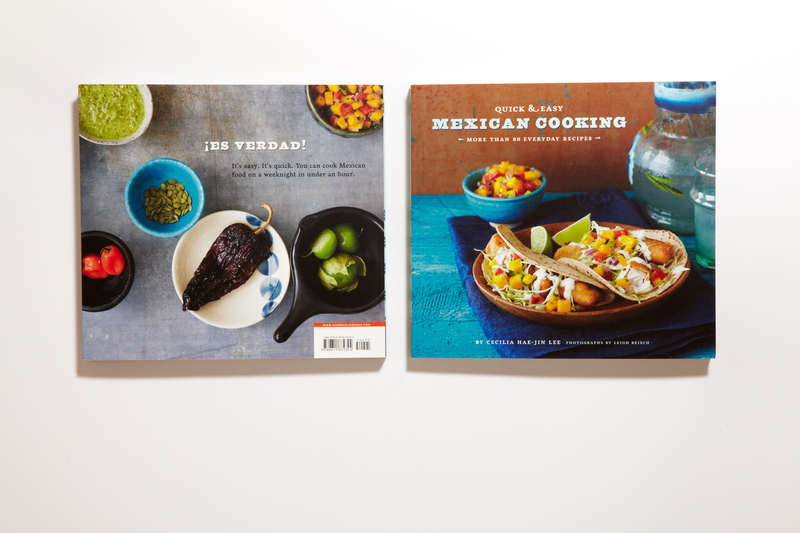 “When I first learned that the subject of my latest cookbook assignment from Chronicle Books would be about Mexican food, I got very excited. Stylistically I knew we could have a lot of fun. I recently took a trip to Oaxaca, Mexico where I got a good understanding of Mexican crafts, food, texture and color. The use of color and earthy ceramics reminded me of the Moroccan textures and color combination which I admire so much. This train of thought also led me to thinking of my good friend and client Philippine Scali ( formerly CD of Pottery Barn and previous to that Sunset Custom Publishing) whose French heritage and ties to Morocco have led to a wonderful sensibility for propping and art directing. Her own home is one of those places where you want to take a day or two to just look at each corner of her rooms and drink in all the details and unique objects she has collected from around the world or has been given by some well known artist. If you would like to order a book, they are easily available on Amazon – just link here. This entry was posted in Cookbooks, In Their Own Words, Leigh Beisch, Name Dropping, Product & Still Life and tagged In Their Own Words, Leigh Beisch, Name Dropping, Product and Still Life. Bookmark the permalink. Looking for another reason why clients want more for less? Here is a new one to add to your list.